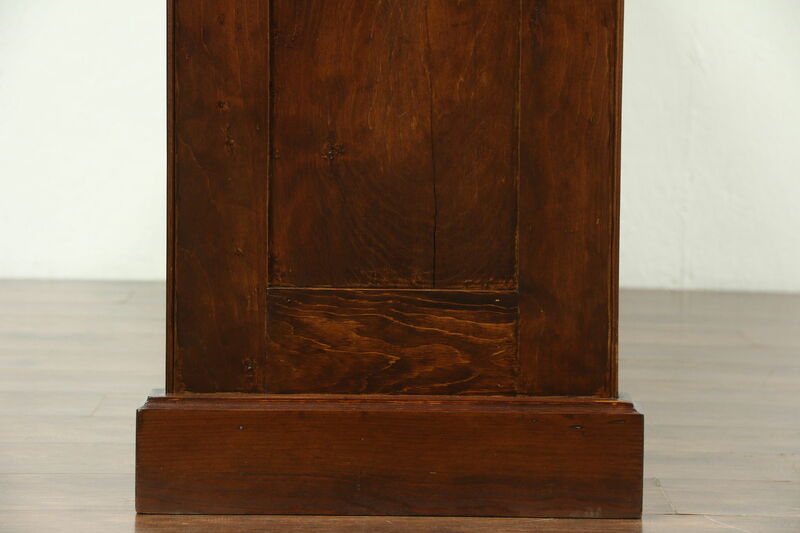 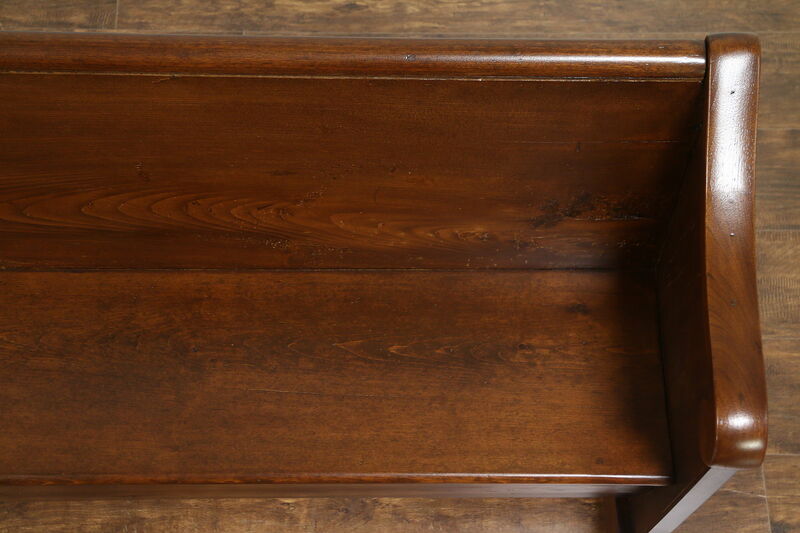 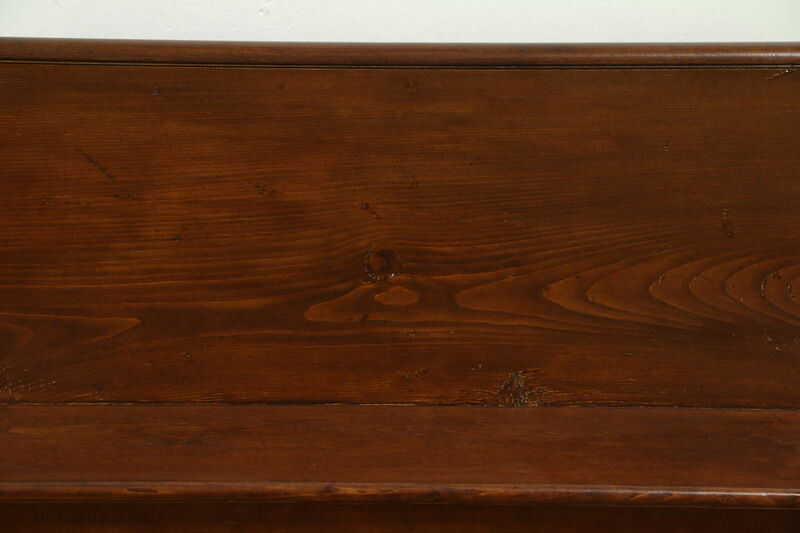 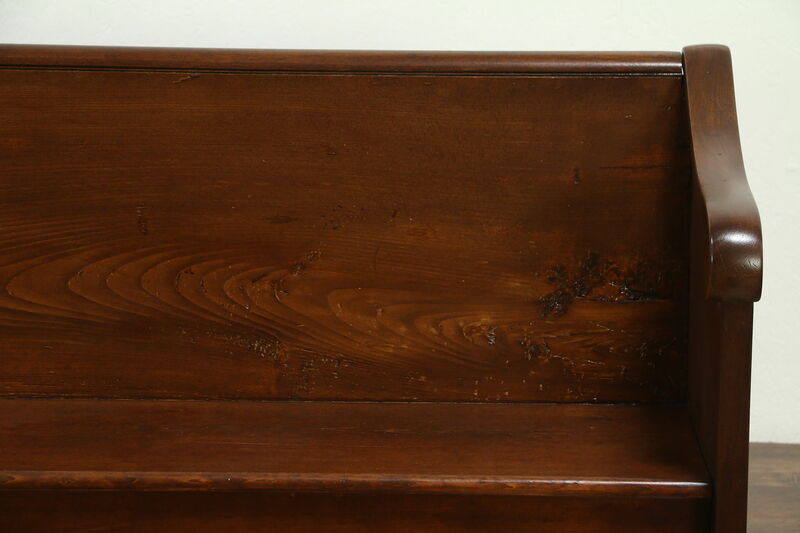 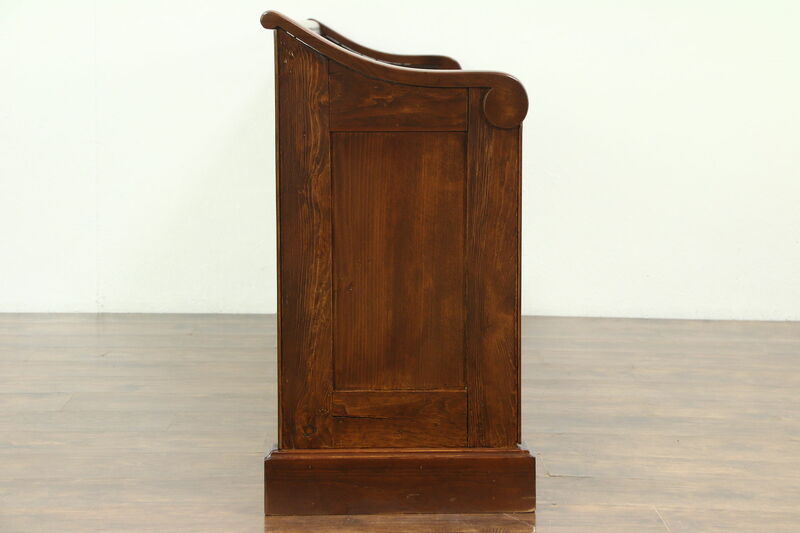 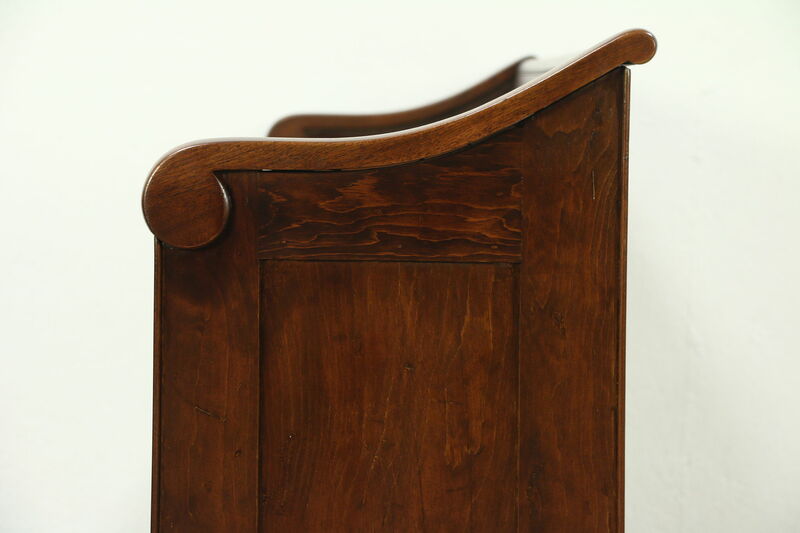 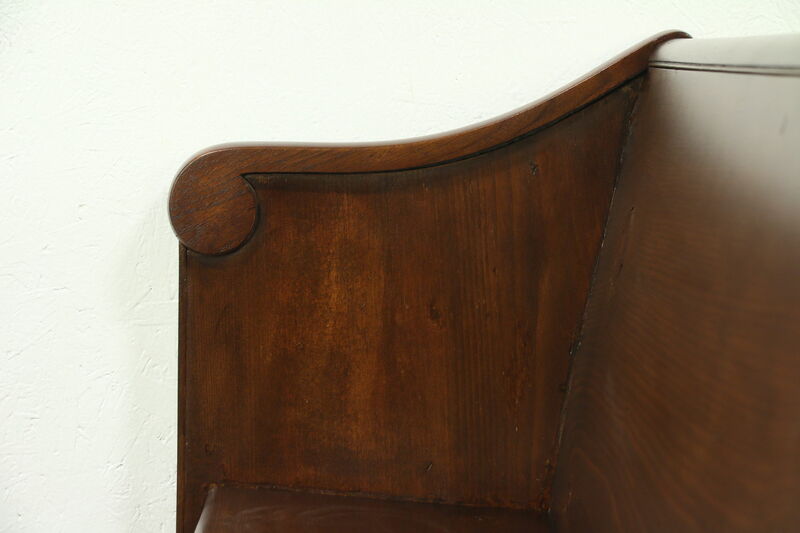 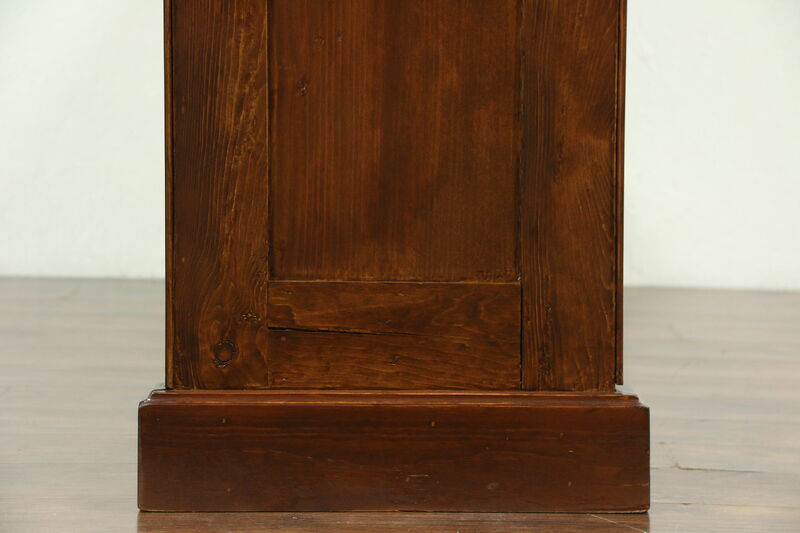 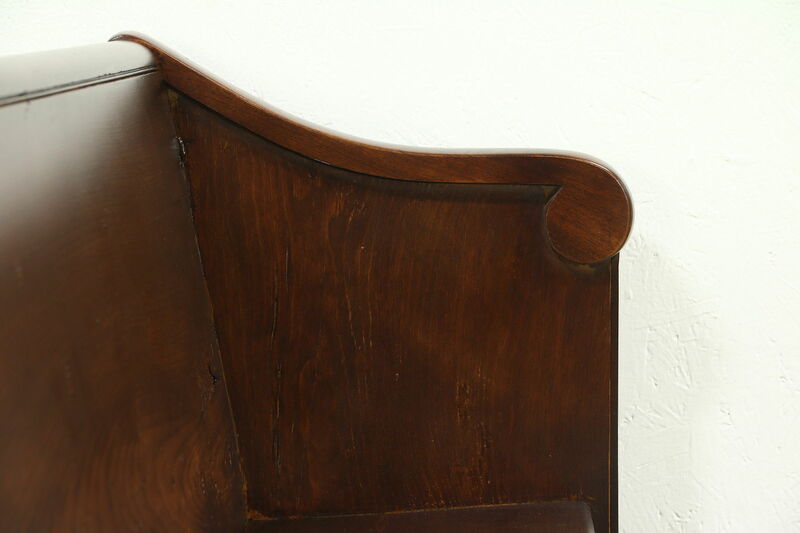 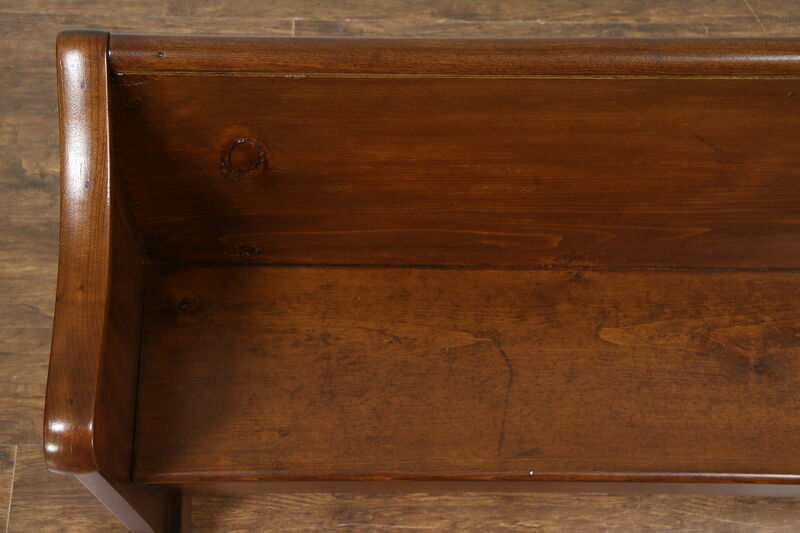 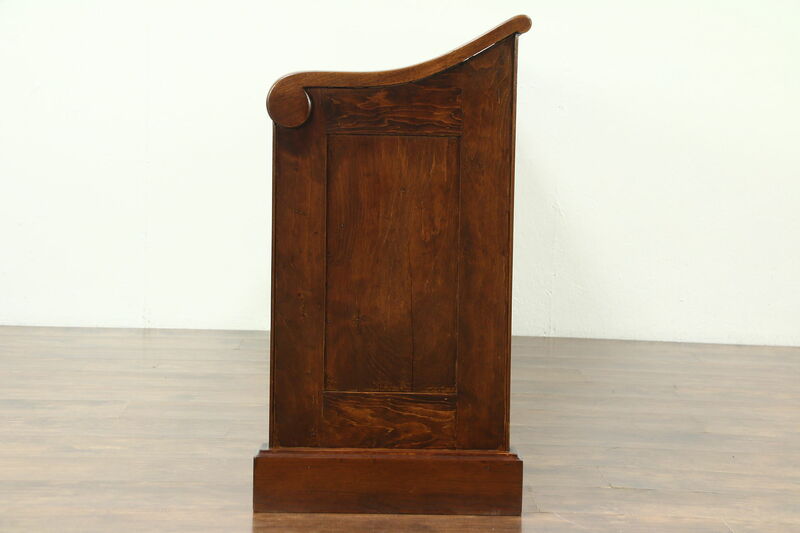 The restored finish is in excellent condition, preserving lots of mars and stains for antique patina. 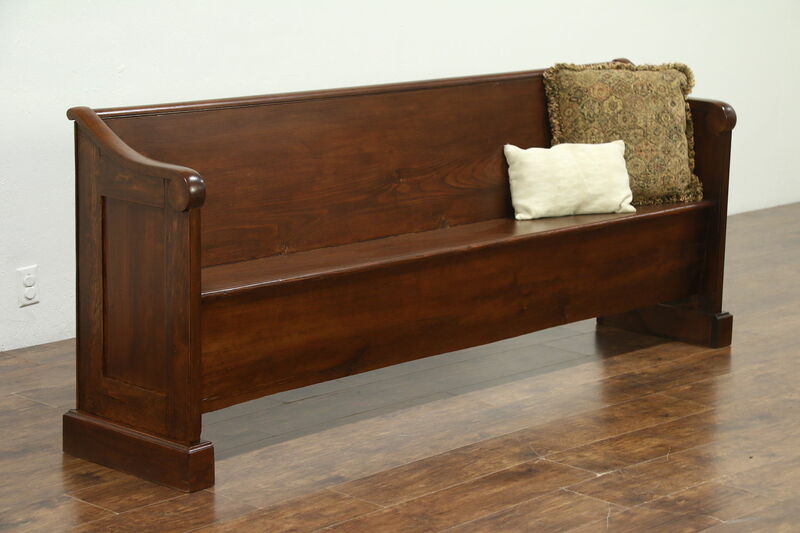 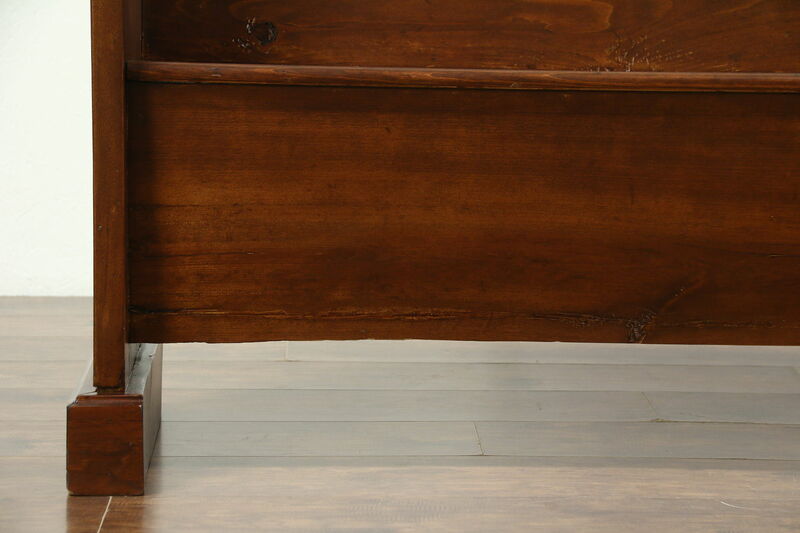 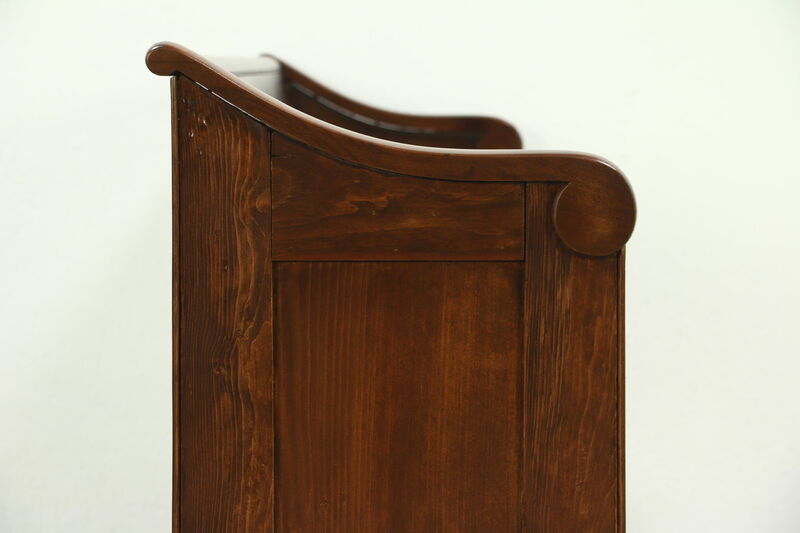 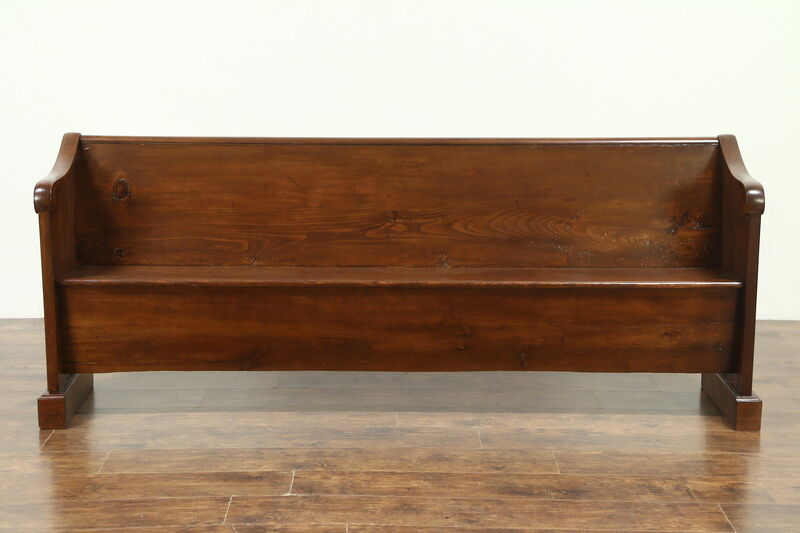 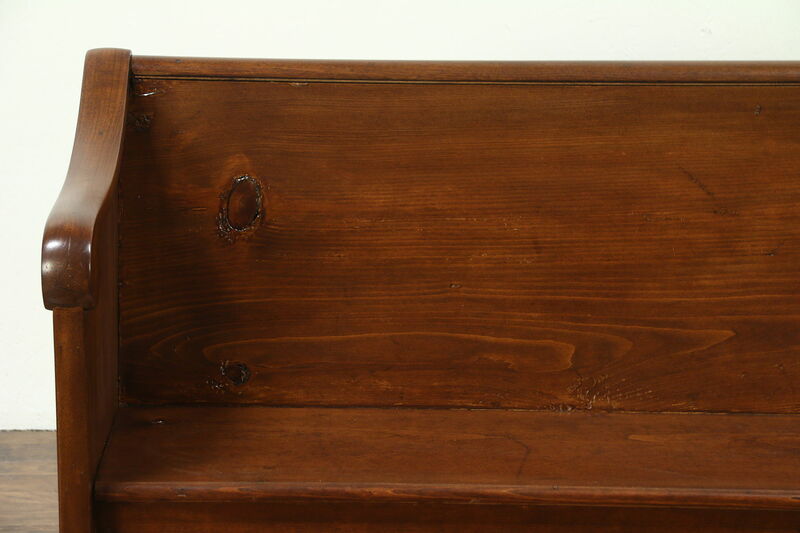 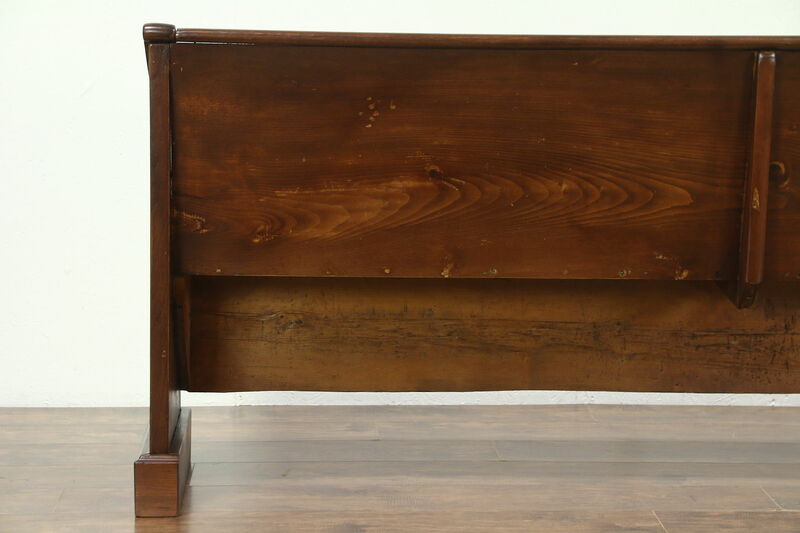 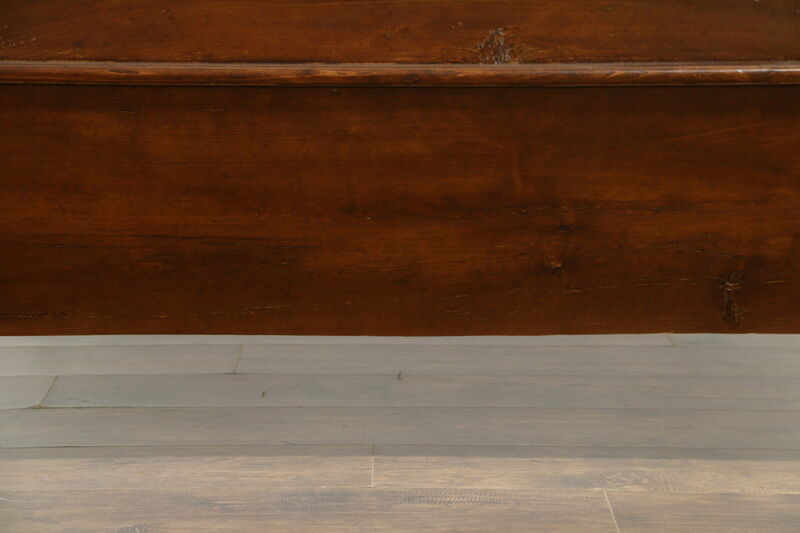 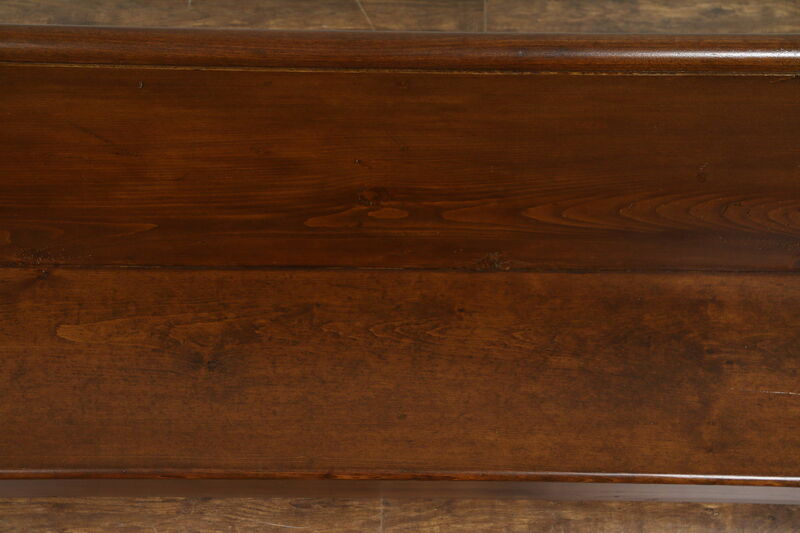 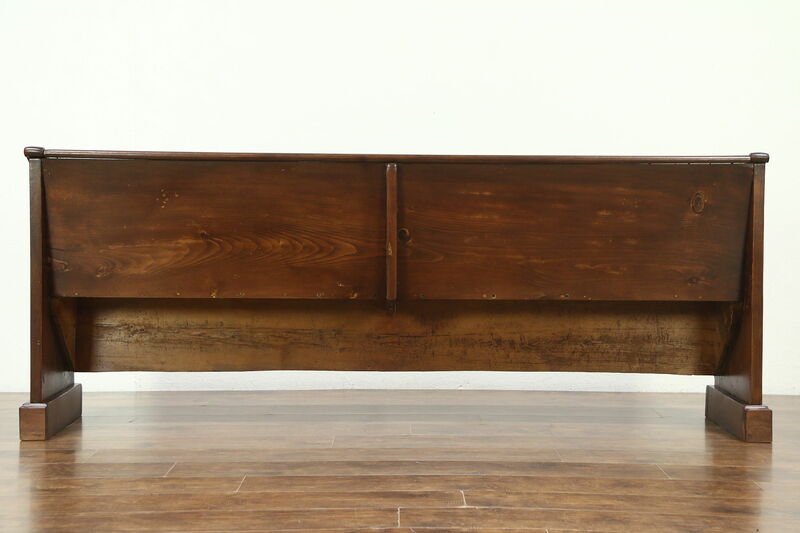 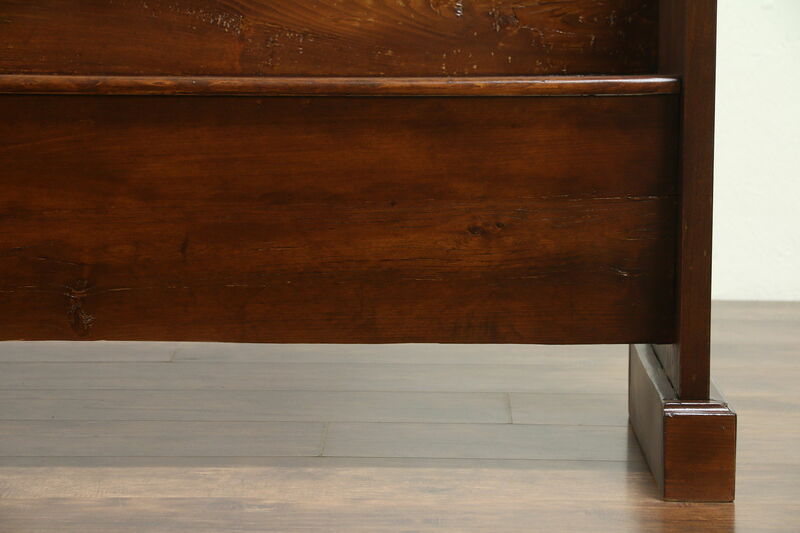 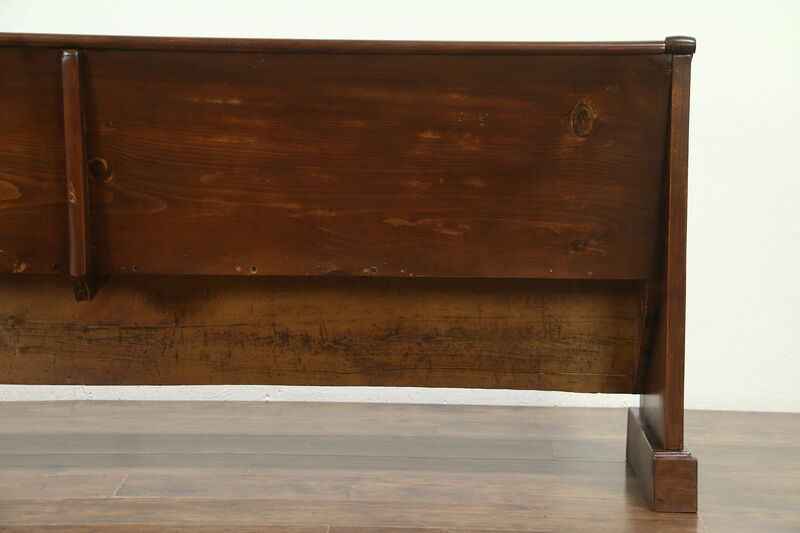 American made furniture, this rugged bench was expertly crafted with square cut nails. 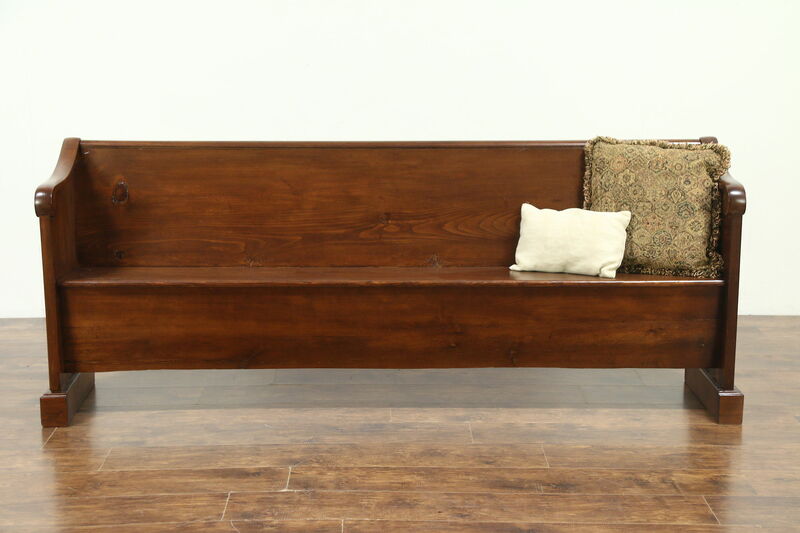 Measurements are 87" long, 18" deep, 34" tall and the seat is 18" high.